The Association of Southeast Asian Nations (ASEAN) was founded in 1967 with the purpose of promoting regional cooperation in Southeast Asia, in the spirit of equality and partnership and thereby contribute towards peace, progress and prosperity in the region. 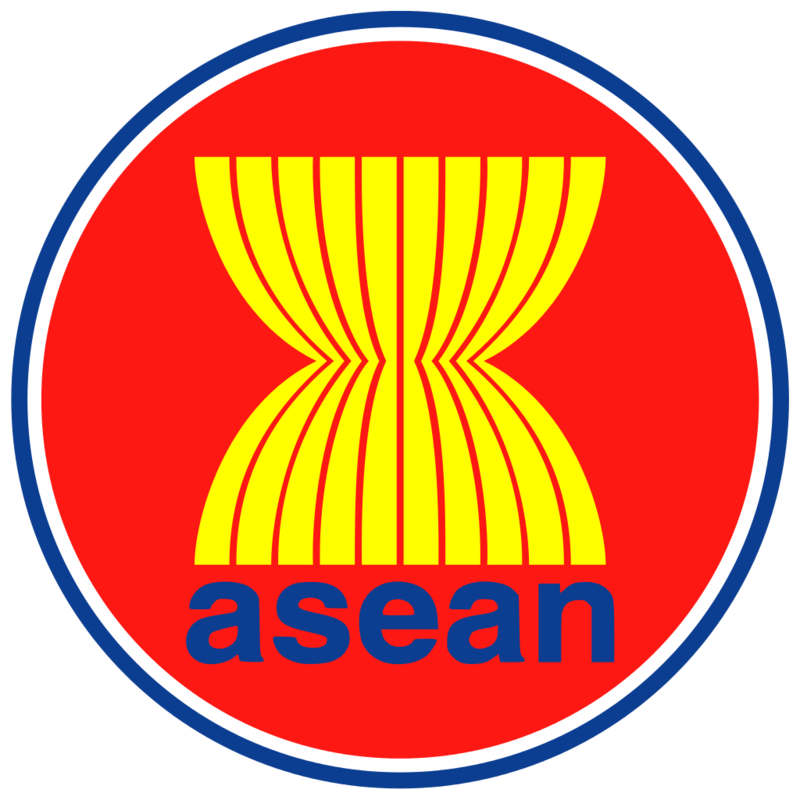 ASEAN comprises ten (10) countries in Southeast Asia. It was proclaimed a Community through the “Kuala Lumpur Declaration on ASEAN 2025: Forging Ahead Together”, signed by the ASEAN Leaders during their 27th Summit in November 2015. Along with the ASEAN Community Vision 2025, also adopted at the same Summit, they call for the ASEAN Community in forging ahead together, and to work towards building a community that is politically cohesive, economically integrated and socially responsible. The ASEAN Secretariat was established in 1976 by the Foreign Ministers of ASEAN with the basic function of providing greater efficiency in the coordination of ASEAN organs and for more effective implementation of ASEAN projects and activities. It is also envisioned to be the nerve center of a strong and confident ASEAN Community that is globally respected for acting in full compliance with its Charter and in the best interest of its people. In alignment with the ASEAN 2025 and Key Aspirations of the three ASEAN pillars of Political Security Community, Economic Community and Socio-Cultural Community, supported by the Department of Community and Corporate Affairs, the ASEAN Secretariat is inviting qualified ASEAN Nationals to apply for the position of Senior Officer Property Management. This position reports to Assistant Director Administration & General Affairs Division, Community & Corporate Affairs Department. Manage maintenance functions for ASEAN Secretariat’s Premises & Facilities. Monitor and control the work related to management of ASEC’s premises and the residence of the Secretary-General; and. Ensure the availability of all ASEC’s facilities including smooth operations of AC system, electricity, generator set and elevator. Provide supervision and assistance to the Building Management Teams. Supervise performance of contractors/vendors related to building maintenance. Managing the landscaping and housekeeping of the ASEAN Secretariat building and SG’s residence. Perform other relevant duties as assigned by the Assistant Director and/or higher authorities of the ASEAN Secretariat. Advanced Degree or Master in General Administration/Management, Building & Property Management, or other appropriate related discipline with a bachelor degree in Building Management, Property Management, Civil Engineering, Architecturing or other appropriate specialist discipline. Project and/or construction management; o Security management. Proven skills in problem solving in a complex organisational environment and in work planning. Successful candidate will be offered a basic salary of USD 3,385 and attractive remuneration package including housing, outpatient medical reimbursement, hospitalization & life insurance, children’s education and gratuity. Subject to good performance during the probation, the candidate will be offered a fixed term contract of three (3) years, inclusive of the six-month probationary period. Send your application to asean.hr@asean.org highlighting your suitability and potential contribution to the position together with a detailed CV, certified true copies of educational certificates, and complete ASEC Employment Application Form attached with recent photograph. Applications sent without the three documents mentioned above will NOT be considered. Please indicate on the subject heading: Application for Senior Officer Property Management. Application documents should reach the ASEAN Secretariat by 10 November 2017. The Selection Committee’s decision is final and only shortlisted candidates will be notified.